Home » News » Not 1, not 2, not 3… but 4 Disneylands in Mysuru Region ! Mandya: The State Government seems to be obsessed about Disneyland and even the Chief Minister seems to have been bitten by Disneyland bug. Even as the government’s plan to upgrade Brindavan Gardens at the picturesque Krishna Raja Sagar (KRS) Dam in Mandya has stirred a Hornet’s Nest with farmers led by their leader G. Madegowda opposing the project due to the fear of losing land, Chief Minister H.D. Kumaraswamy has announced that apart from KRS, the government was planning Disneyland-like projects at Harangi Dam in Kodagu, Hemavathi Dam in Hassan and Kabini Dam in Mysuru — the Old Mysuru region along the fertile Cauvery Basin. Kumaraswamy, during his visit to Mandya, yesterday said the government was determined to make the plan happen. The CM also chaired a meeting in Mandya where Melukote Abhivruddhi Pradhikara (Melukote Development Authority) was proposed and here too, he said the focus of government is to develop Cauvery Basin as an internationally acclaimed tourist spot. The CM said that the four dams would be developed in two phases in private-public participation. In the first phase, the Cauvery statue at KRS Dam would be built at a cost of Rs. 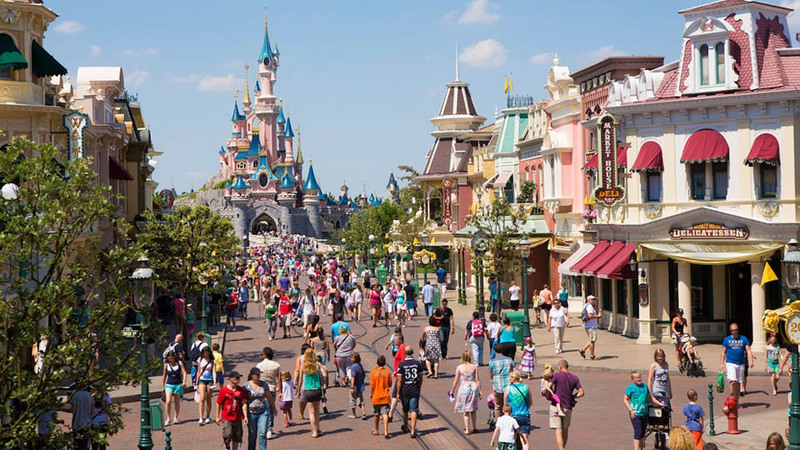 1,060 crore and the overall Disneyland plan worth over Rs. 2,000 crore will be implemented. The other three dams would be developed in the second phase, he said. While the first phase of works will be completed by 2020, the second phase will be completed by 2022. Private parties will maintain the project for 25 years and transfer it to the government later, he added. Taking on critics, structural engineers and farmers who have flayed the project, the CM branded them as ‘vested interests’. “I challenge them to have an open debate with me. We will not only build 125-feet Cauvery statue but we have plans to attract tourists from the nook and corner of the world. Don’t we have brains? We respect all views and a final decision will be taken keeping in mind the Dam safety,” he said and reiterated that the government will not rescind on Disneyland project. Continuing his tirade, Kumaraswamy said, “A former MLA from Srirangapatna has stated that the previous Congress government had planned Rs. 8 crore worth statue of Goddess Cauvery at KRS. I would like to tell the MLA that this is not a small project hut a mega project worth more than Rs. 2,000 crore,” he said. Kumaraswamy said that the project, after implementation, will provide job opportunities for thousands of youth and fetch average annual revenue of around Rs. 400 crore to the government. “When we announced the Disneyland-like project at KRS, environmentalists, engineers and historians expressed displeasure against the move. They said that building such structures on the Cauvery would spoil the river. We have not ventured to harm the Dam that has been built by the Wadiyars. Our intention is to attract tourists and provide employment. We will spend money to lift the life of farmers who are struggling for their livelihood. Mandya youth need not depend only on agriculture to lead their lives,” he said. Before building 4 Disney lands, the chief minister, his party and congress should focus on promoting safe and livable environment for all in Karnataka. Instead of fleecing people they should focus on their duty and obligations to the people of Karnataka and the people have not asked for 4 Disney Lands. Devegowda has 4 sons! One Disneyland for each to maintain family harmony! Kumara Swamy , anita kumarswamy, revana, devegowda each will have one disny land hence forcing former sons to grab land. Fatuer looted mysore noson is looting entire karnataka for his entire family. Think BIG…This will create new business avenues to locals near by and jobs are generated..